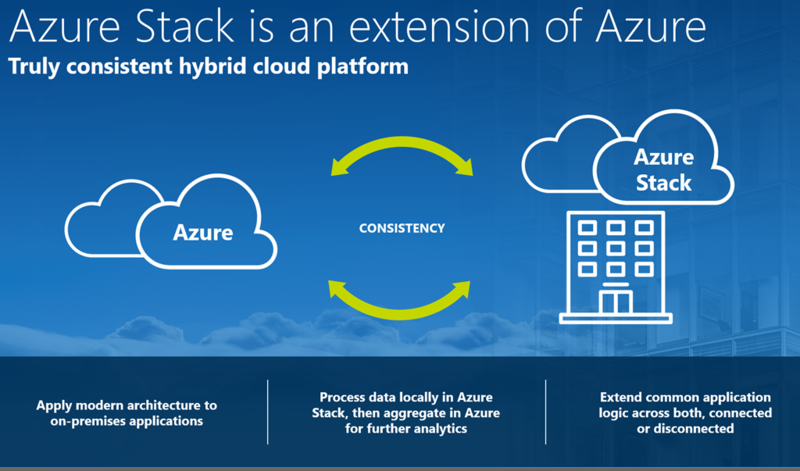 Azure Stack is an extension of Azure. It brings the agility and innovation of cloud computing to on-premises environments. Organizations can now build modern applications across hybrid cloud environments with the right flexibility and control. The consistency is key. 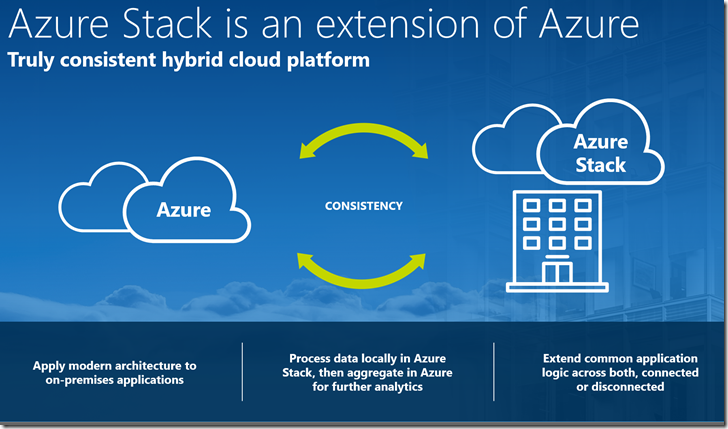 Developers can build applications using a consistent set of Azure services and DevOps processes and tools, then collaborate with operations to deploy to the location that best meets the business, technical, and regulatory requirements. Developers can speed up new cloud application development by using pre-built solutions from the Azure Marketplace, including open source tools and technologies.